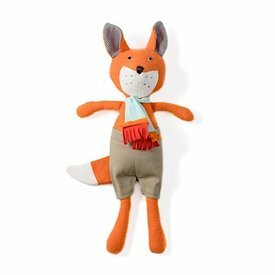 Hazel Village animals make perfect playmates for kids of all ages! High-quality craftsmanship will last a lifetime of backyard adventures and bedtimes. Their outfits are removable so they can be dressed properly for any occasion. We are in love with all of the animals who live in Hazel Village and their unique personalities! 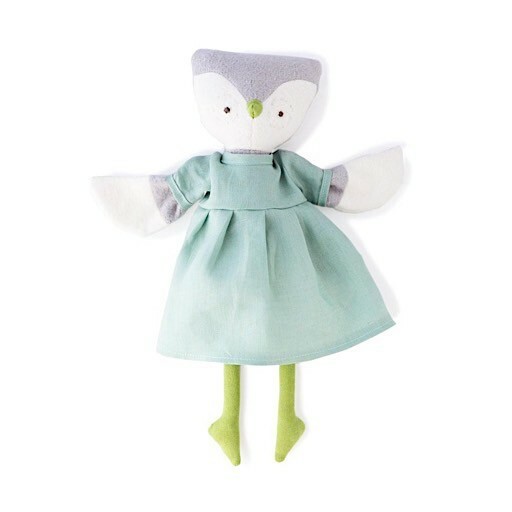 "Lucy Owl has developed a regimen of morning exercises that increase upper body strength. Every morning, she does them in the meadow in front of her house. She wants to set a good example for the other animals, because she thinks they're a little spindly. They are not too interested, even though she tells them the better their upper body strength, the better the foraging." 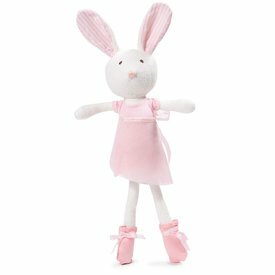 The animals are made from organic cotton fleece, with hypoallergenic polyfill stuffing. Because their faces are embroidered, there are no hard components that could present a choking hazard. So they're suitable for all ages. But please remove any loose doll clothes (like hats, shoes, socks, and scarves) before leaving a Hazel Village friend with a small baby. Hazel Village animals without apparel are certified safe for babies ages 0-2.